That’s according to a new investor note from HSBC (via CNBC) released Tuesday, which downgraded the Cupertino company‘s stock from buy to hold as well as cut its 12-month target price from $205 USD to $200. The note cites over-dependence on a single product against slowing emerging market economies. Apple’s current share price fell 1.7 percent to $181.66 shortly after Tuesday’s opening bell, adding additional losses to an 18 percent decline for this quarter alone. 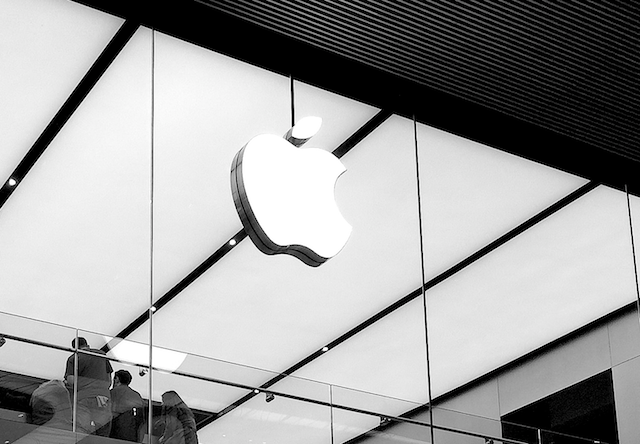 “Apple has to innovate to ensure that the installed hardware base doesn’t shrink,” wrote HSBC analyst Erwan Rambourg, who suggested three “complementary strategies” for the company. The first of these strategies is what Rambourg calls “horizontal diversification and geographic expansion,” as services like Apple Pay are growing fast but could benefit from more reach. Rambourg’s second suggestion is to add new services and applications in areas like augmented reality that could potentially drive hardware improvement and create consumer excitement for the company. Finally, Rambourg urges Apple to lead the industry in “pure innovation” in areas such as autonomous driving technology, health-related technology, and AR glasses, for example. Looking forward, Apple should expect to see its prior “very high” double-digit revenue growth slow down to a “more pedestrian” mid-single-digit growth which will impact the stock’s investment case, the analyst wrote.